HOW DO I BOOT TO WINDOWS 7 WITH WINDOWS 10 BOOT SCREEN? Not to worry here is the Fix. LOG INTO WINDOWS 10 AND THEN RIGHT CLICK 'THE MY COMPUTER' ICON Entitled 'This PC' Now. 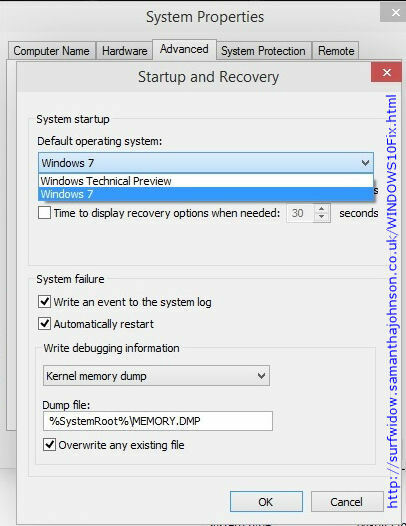 'System Properties', 'Advaced', 'Startup and Recovery' Then choose Windows 7 as the DEFAULT Operating system! Don't worry you will still get the choice to boot into WINDOWS 10 :).